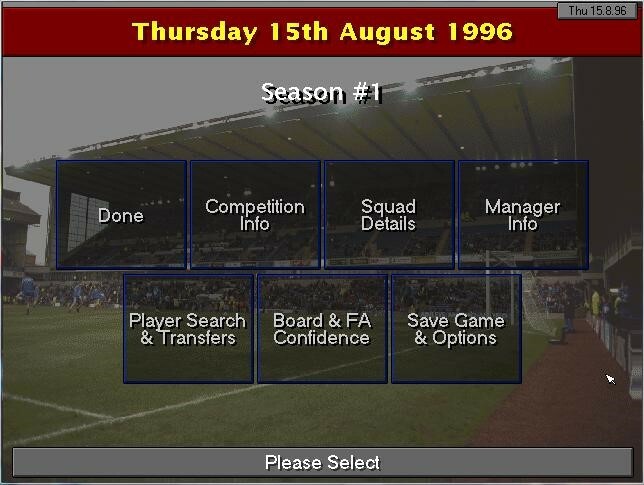 It�s been over two decades since the first Championship Manager game hit the market in 1992, but the appeal of football manager games is nowhere near to fading away. And with all the modern technology we have today, it�s even easier to enjoy the gaming niche, especially with all the free mobile apps found a few taps away. If this rate of designing games continues, we might even forget about playing all those thrilling table games for real money and get back to what we love most � steering our teams through a maze of finances, transfers and tactics, and onto a path of unforgettable glory. However, as much as living in modern times is convenient for our gaming habits, not every game will stand the test of time and remain as enshrined in our memories as the following installments did. 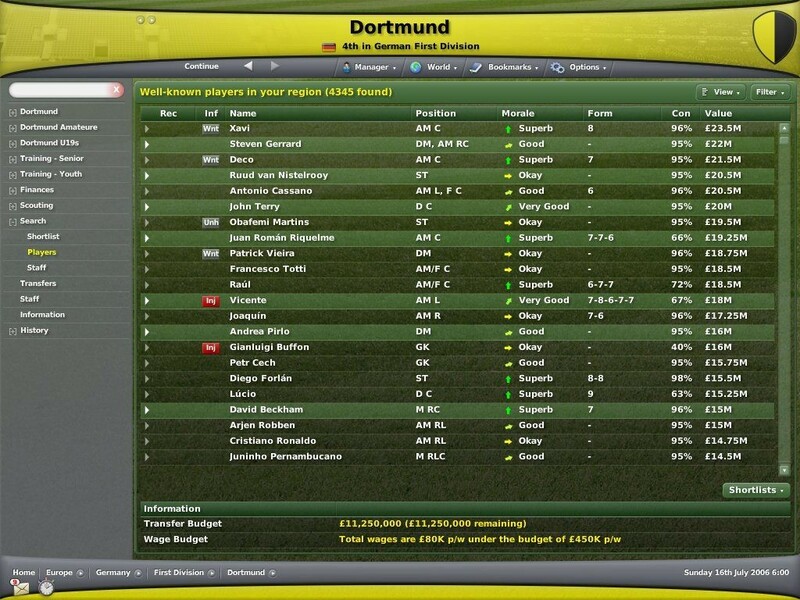 Although the game wasn�t really perfect, it certainly remains as one of the best football manager games in history. After the previous failure with the 2006 installment, where for some unexplainable reason developers decided to whip out the fictional Harchester United team out of thin air, Football Manager 2007 shook off the criticism and moved with a head held high. The best thing about the game was the statistics engine which one could easily get lost in for hours, but also the smart design changes which were some of the best at the time. All the little finesses, like sticking experience bars to scouts and deciding to focus more on data than 3D game simulations, made Football Manager 2007 one of the most realistic games in the niche. After setting a high bar of expectations with their 2001 version, nobody expected Codemasters to come out with even a better game, and yet they did. One of the best features of the game was the realistic management processes where you could truly build a world-class club only by having real management skills and putting your heart into the game. Everything from stadium finances to the on-field screaming at your players just made the whole experience as real as though your home smelled of soaked grass each time it rained. Plus, the game had a 3D match preview in a time when competitors barely even thought about it. The reason for including this title on the list is because it was a milestone for Sports Interactive - the game development company that launched it all. Their bitter departure from Eidos left everybody wondering what will the future bring for the franchise, but most importantly: will they fail now that they�ve lost their brand? Well, not only did they didn�t fail but their new franchise burned through Eidos� release and set a standard that they couldn�t live up to and still can�t to this day. From the meticulous attention to details to its amazing playability, this game had it all. Even though the 1992 version will forever remain as a breaking point in football gaming, it was the Championship Manager 2 which we�ll all remember enjoying for hours at a time. The 1992 version was good by its own accord, but nobody expected CM2 to go even further and introduce a design which was then seen as pioneering, but is now the standard in football manager games. The game, unsurprisingly, still didn�t have a match engine, but instead came with a whole world of features that laid the addictive foundation on which all subsequent games will rest on. Whoever tried it at the time will surely have hard time remembering anything else apart from its 640x480 screen. If you ask any fan why they loved this game so much, they�ll probably have hard time explaining it but will still say that it was one of their favorite games. Although it wasn�t particularly innovative, especially when compared to other titles from that time, CM 2001/02 had a groundbreaking approach to playability, nailing a flawless balance between managing and having hours of fun. Unlike the newer, more realistic games of today, this game had the perfect amount of depth but still didn�t require ages before you could call it a season. Its impact on the niche is so major that even to this day people would compare new releases to this game and still put in effort to keep it alive.